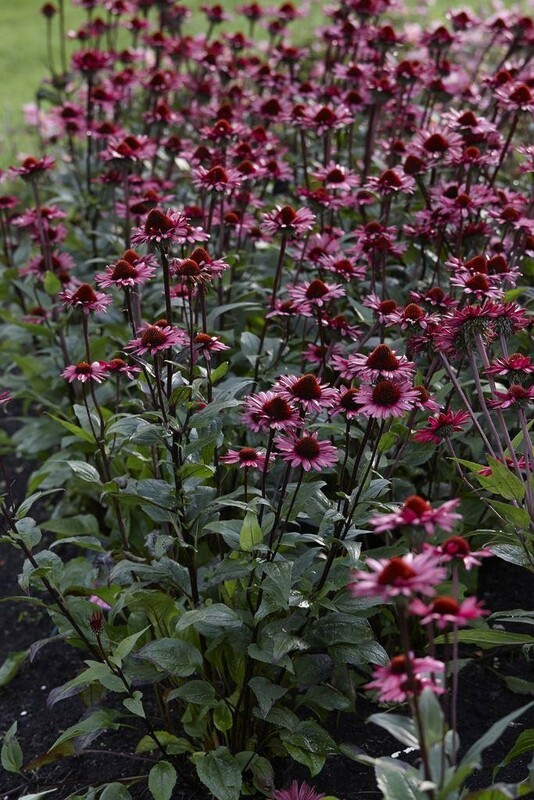 A new star among coneflowers, with dramatic dark coloured stems and upright petals. 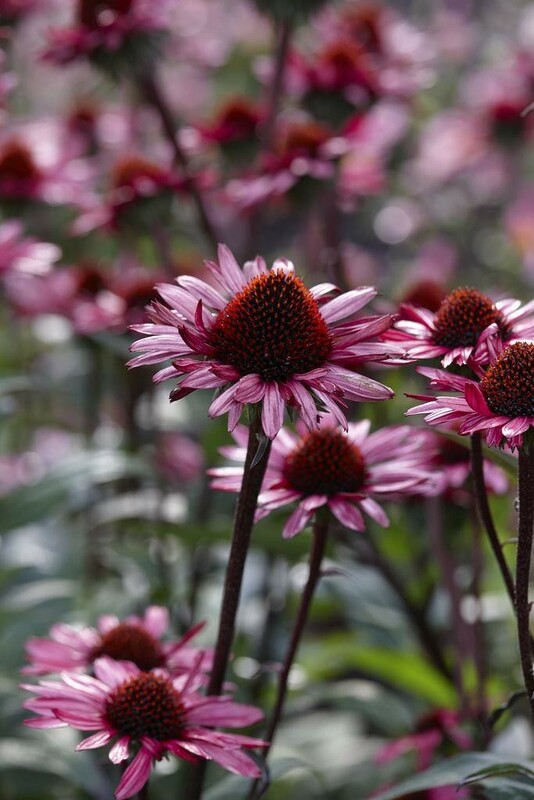 Selected by one of the world's most talented garden designers, Piet Oudolf - so you know this striking coneflower must be garden worthy! Rich purple pink flowers radiate around the bristly center and remain upright without the need for staking. Supplied in 2-3 litre containers.